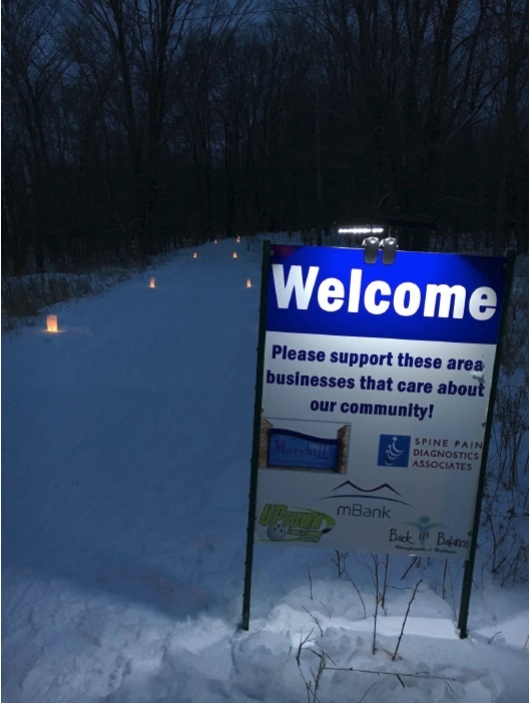 More than 500 luminaries will be filled for a ski and snowshoe event Saturday at Niagara Riverside Trails. NIAGARA, Wis. — The Niagara Area Business Association is hosting a candlelit cross country ski and snowshoe event at the Niagara Riverside Trails in Niagara on Saturday. The event starts at 5:45 p.m. for skiers and 6:15 p.m. for snowshoers and features over 500 luminaries along a 1.5-mile loop in the woods. Event planners suggest bringing a head lamp for a boost of light in some areas. Participants will enjoy a bonfire, hot chili, hot drinks, and a fun time for the entire family. A warm-up shack with hot drinks, music, and snacks will be at a stop along the trail. Snowshoes or skis are not necessary for the event. Winter boots work well. This year, children under 17 are free with a paid adult. Registration is online on Active.com. There is also a printable registration form at niagarawi.biz. Pre-registration is $10 per person. Event day registration is $15 per person. Sponsors of the event are the mBank, Maryhill of Niagara, Auntie M’s Childcare, and mPower Innovations. All proceeds stay local and will go towards maintenance for the Niagara Riverside Trails and the community and to local charitable organizations. The Niagara Area Business Association is a group of businesses that aim to support and enhance the local community. For more information visit www.niagarawi.com.